Epic crust sunday at the AZ Aachen. Hope to see you around. Concert starts at 18:00 h and ends around 20:00 h … for real!!! Free cake, great bands and nice people at the kicker. 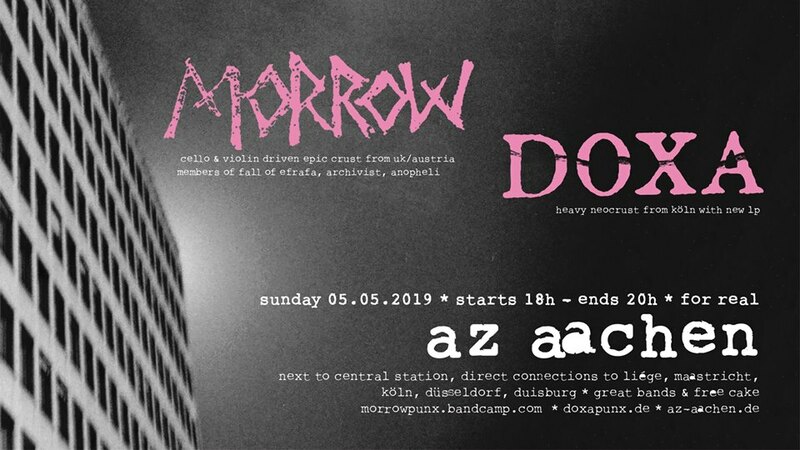 Also check out morrowpunx.bandcamp.com and doxapunx.bandcamp.com for music!